It seems as though the days of getting by with one income are long-gone. While that one income may cover all your necessities and bills, there’s a good chance it doesn’t leave you much in terms of extra money. 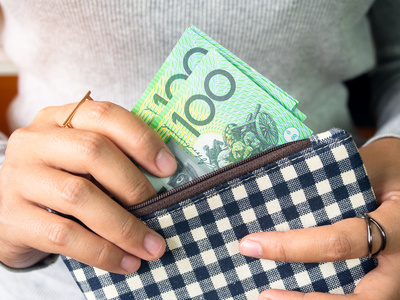 Let’s face it, everything is going up at a rather fast rate such as living costs, utility bills, and property prices, but wages don’t feel like they are keeping pace. If you’ve been looking for ways to make a little extra money that will act as supplemental income but aren’t sure where to start, here are some suggestions and tips that may help. You’ll then have that extra source of income that can be used to save for a holiday, a big-ticket purchase, or even for savings. You may want to look into getting involved in Forex trading, as this can bring in a rather substantial amount of extra money if you do your research and are smart about your investments. If you are new to Forex trading, you will want to be sure you read up on things such as indices, what a portfolio is, how to read the Forex numbers, etc. This will ensure that you can enter into the market with confidence and ready to start making those trades. If you have the gift of writing, then you’ve actually got a great way to make a little extra money. Writing copy for websites and blogging can prove to be an excellent way to make a little extra money. You will also have the ability to take on as much or as little work as you want and can handle. It’s important to note that in this field you tend to have to start on the low-end of the pay scale when you first start out, but you can start to increase your rates over time as you build your portfolio. For those people who have a hobby they enjoy and are particularly good at, you may be able to take that hobby and turn it into a career. Take, for example, a love of photography. If you take photos for your own enjoyment and have that creative eye, then you may be able to offer freelance photography services. Then again, maybe you really enjoy baking and decorating cakes. This can be a wonderful side venture that brings in the extra cash you need. Why not combine your love of the outdoors with a love of animals and become a professional dog-walker? You can walk dogs during your off-hours and at weekends, giving you a chance to get a bit of exercise, enjoy the outdoors, and bond with some really fun animals. When it comes to finding a way to making a little extra money on the side, often it’s the creative ideas that end up being the best ones.